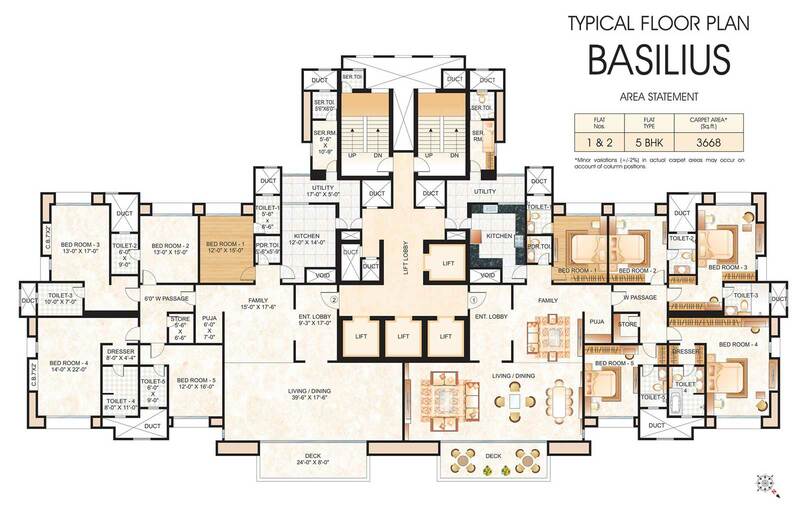 Basilius offers lavish 5 BHK apartments of 3668 sq. ft. carpet area. Created especially for those who wish to live a regal life drenched in the ecstasies of supreme luxury. Apartments have been designed with a royal touch, transforming them into royal palaces fit for kings and queens. Plush interiors add to the charm along with maximizing functionality and there by optimizing the per square foot usage. * Basilius has been financed & mortgaged by HDFC Ltd. NOC shall be provided on request.